1997 Black Leopard Stallion, now gelded. The birth of this handsome colt marks the divergance of the heavy horses bred by Stonewall Stud, infused with Percheron blood, and the Stonewall Sporthorse of modern type, with European warmblood breeding. The heavy horses evolved into the American Sugarbush Harlequin Draft Association, in partnership with Everett Smith of Willowood, Ohio. The registry is now managed by Tracy Meisenbach and Bron Stark from Brookneal, Virginia. The Stonewall Studbook became focused exclusively on warmbloods of sporthorse type. Stonewall Domino carried just 25% Percheron blood contributed by his sire, Stonewall Rebel, a son of Charlie Degas. 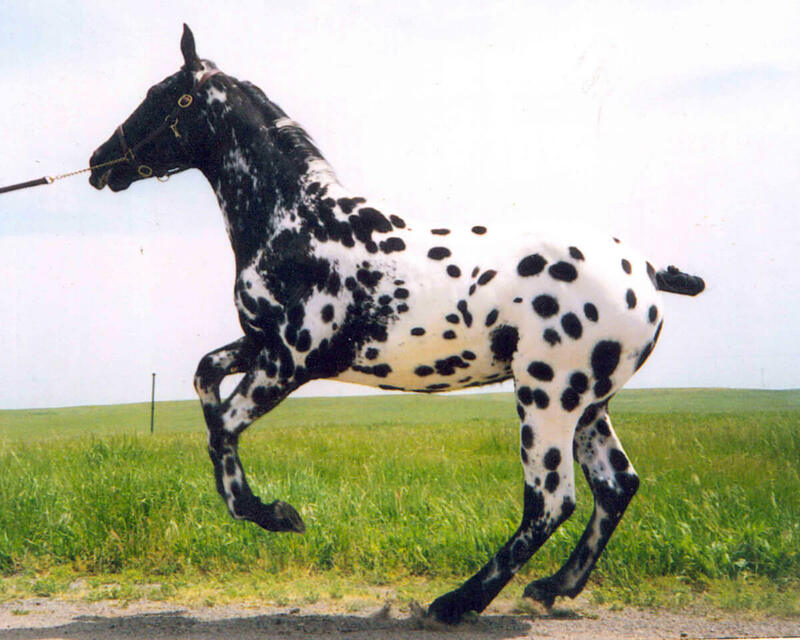 Domino is five-eighths Thoroughbred, from his dam, and the Thoroughbred blood of Apache Double on the topside. This created a pronounced refinement of type, while retaining substantial bone, a good foot, with increased strength and stamina. Stonewall Domino had abundant quality and developed into a potential stallion. He was test bred at Stonewall Stud, but later gelded when Michael Muir assumed the presidency of United States Driving for the Disabled. The sireline of Stonewall Domino lives on today through his son Stonewall Maximus (Stonewall Magic x Stonewall Mary). 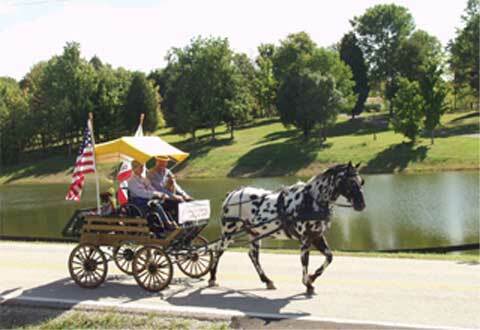 Stonewall Domino was shipped to Kentucky to carry Cindy Goff in her wheelchair, Michael Muir and their dogs Burt and Rose, on the 2003 Thousand Mile Journey to the Gulf, from Kentucky to Florida. They followed the 1867 path of Michael’s great-grandfather, John Muir, when he walked through the smoking ruins of the post Civil War South. Assisted by Journey Across America veteran Lindsay Tyas from Great Britain, and without a horse trailer, Domino marched resolutely every step of the way, from Louisville, Kentucky to Cedar Key, Florida. Again demonstrating the remarkable strength, courage, stamina and soundness of the Stonewall Sporthorse, Stonewall Domino is honored as a Stonewall Sporthorse Champion in Long Distance Driving.